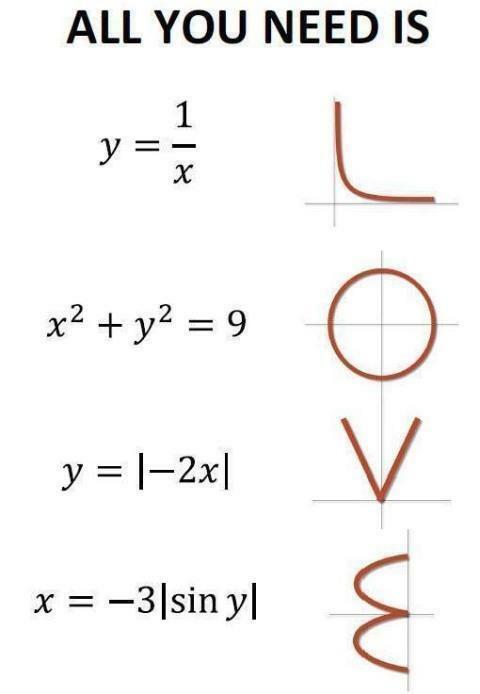 Fire up your favourite graph plotter (mine is Desmos) and see if you can reduce LOVE to four equations. You’ll need to think about the domain and range, and a knowledge of the modulus function helps, making this a good exercise for A-Level students. You can see the four individual functions >>here<< (but you’ll still need to transform them into position) which I first stumbled across on this great collection of resources. This entry was posted in Algebra, Teaching Tips and tagged love. Bookmark the permalink. Post a comment or leave a trackback: Trackback URL.